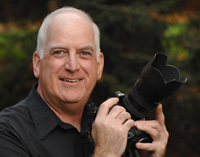 I established Randall Tagg Photography in 1980 with a simple formula that holds fast today: Listen to the needs of the customer, present creative photo solutions, and deliver quality images at a fair price. All elements of the formula must be strong to fulfill your needs and ensure success. My goal is to create spectacular, memorable images to advance your company’s reputation and help you build business. Sometimes, beautiful images are there just for the taking. Other images need to be created to convey the quality of a product or service. I absorb myself in your project to understand all of its aspects to generate as many photo ideas as I can. Check out the images on this website and see what I mean. I demand from myself the same quality work that you demand from yourself and others in your company. It’s the quality of your images that sets you apart from your competitors. You can depend on my 25+ years of experience to create distinctive images for your company that will help it succeed. Industrial Photography We can bring our studio to your location to photograph your products that may be too large or heavy to move, or proprietary products and processes. We can create dynamic visual effects-laden, full motion slide shows. These can be delivered on DVD or USB drive and will enhance your website, trade show booth, meetings or in-house displays.